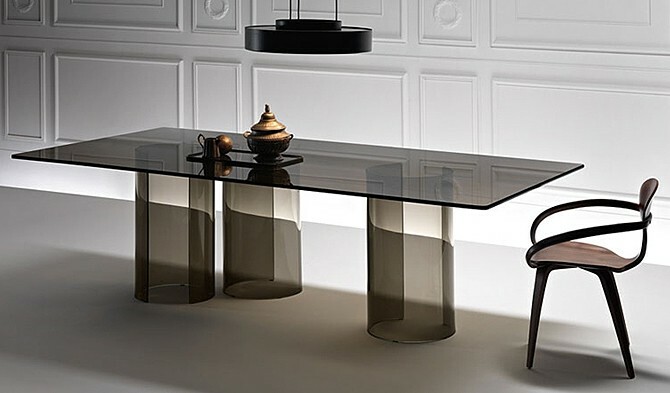 Dining table with a 16mm thick laminated smoked glass top and 3 x 10mm thick curved glass bases. 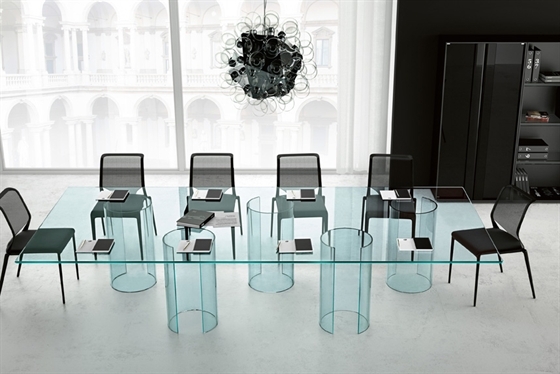 Top also available in transparent glass (12mm thick) or extra clear glass (15mm thick) and in custom sizes (please contact us for a specific quote) and other shapes (round, oval, elliptical). 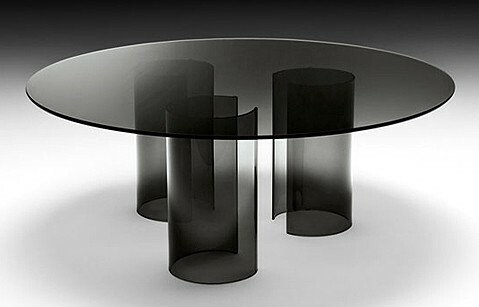 Each base measures Ø40 x 72.5h cm / Ø16 x 28.5h inches, larger top sizes may require more bases to ensure stablity.